Northrepps Cottage Country Hotel01263 579202work Country House HotelHistoric Northrepps Cottage Country Hotel is one of East Anglia's finest bijou hotels from which youcan enjoy the delights of beautiful North Norfolk. The atmosphere inside 'the Cottage' is one of luxurious warmth, from the welcoming reception hall through to the contemporary Humphry's bar and fine dining in Repton's restaurant. Our individual suites effortlessly combine classic and stylish décor reflecting their elegant history, with the height of modern comfort, luxurious features and a refined and peaceful atmosphere. When looking for a country hotel on the North Norfolk coast, look no further than Northrepps Cottage - truly a place to call your home from home. Our exceptional guest rooms feature en-suite facilities and a wealth of in-room amenities, including mostly king-size beds with Egyptian cotton sheets, goose down duvets and pillows (others on request), flatscreen HD TV with freesat and radio, telephone and wi-fi, hairdryer, tea and coffee making facilities, comfortable seating area, desk and turndown service. Our luxury en-suites include underfloor heating, heated towel rails, heated mirrors to prevent misting, luxury toiletries, quality white fluffy towels and bathrobes, drench-power showers and most rooms also have baths. All are tastefully designed to combine the elegance of the hotel's historic setting with 21st-century facilities and offer a relaxed atmosphere with every luxury at your fingertips. 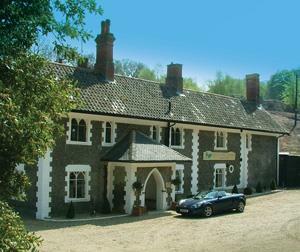 Historic Northrepps Cottage Country Hotel is one of East Anglia's finest bijou hotels from which youcan enjoy the delights of beautiful North Norfolk. Traveling from Cromer on the coast road towards Overstrand, turn right at Overstrand Church and follow the road fro 500 yards.